The web is full of sites where you can watch videos online. There’s YouTube, which is undoubtedly one of today’s largest video-sharing platform. There’s Facebook, DailyMotion, Vimeo and a whole lot more. Thing is most of these platforms upload videos for streaming purposes only. If you want to download a video, you’d have to look for a workaround. If you still can’t find a good workaround, KeepVid  offers a free, fast and efficient solution. Let’s go ahead and check it out. KeepVid is a free online service that lets you download online video  as well as audio (MP3 files). It’s not just a simple YouTube to MP3  or MP4 downloader. It supports over 10,000 sites including DailyMotion, Vidio, Instagram, Facebook, Vine, LiveLeak and many more. While KeepVid supports both desktop and mobile, the easiest way to access and use it is via web which is better known as KeepVid Online. Other than that, you can also opt to use KeepVid Helper which is an easy-to-use browser extension that is fully compatible with Chrome, Firefox, Safari, Opera and many more. For this particular review, we’ll be focusing more on KeepVid Online and KeepVid Helper. Easy access and very convenient to use. No complicated software or setup needed. Simply go to the official KeepVid website and get started. With KeepVid Helper, it’s way easier. No signups or login required. The service is basically free to use. You’re not required to sign-up for an account or login before you can download a video and save it to your computer. You can download videos in full HD resolution without the ads. It lets you batch download YouTube playlists in just one click. 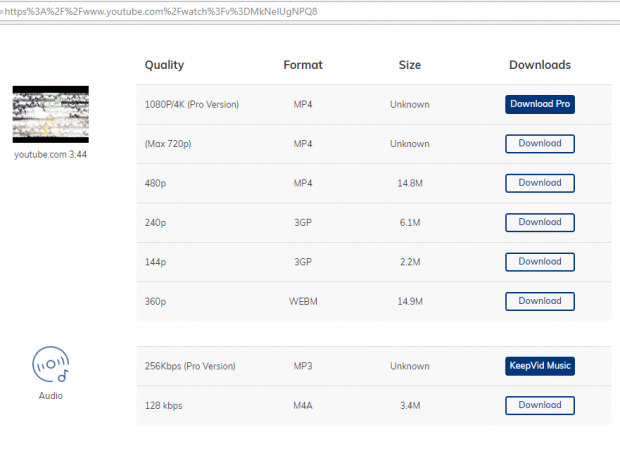 You can download and save videos as 1080p, 4K and other HD formats at faster speeds. You can download and convert YouTube videos to MP3, MP4 and other audio/video formats. Unlimited downloads. There’s no restriction as to how many songs or videos you can download. While not really considered as a con, it is important to note that both KeepVid Online and KeepVid Helper only allows free users to download videos up to 720p MP4 format and 128Kbps M4A for the audio. The option to download higher quality formats can only be done if you are a Pro user. To upgrade to Pro, you need to get at least a 1-PC 1-year Personal License for $19.95. They also offer the option to get KeepVid Music, a Pro service which is strictly for downloading music and playlists. You can get this service for a starting price of $29.95. KeepVid Pro and KeepVid Music both supports Mac and Windows. The KeepVid service is very easy to use. 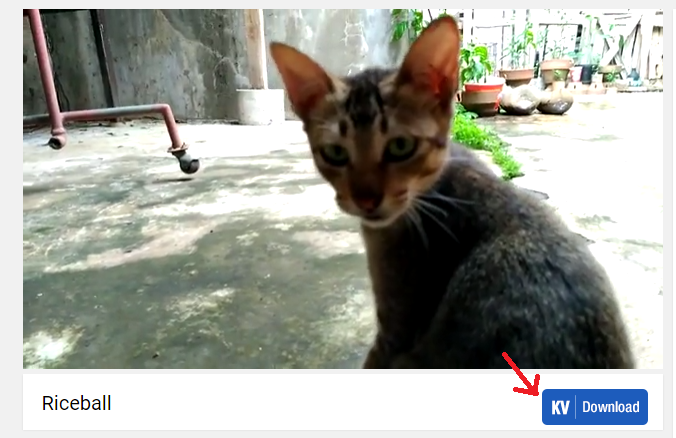 For KeepVid Online, you simply need to copy the URL of the YouTube video or any video that you want. After you copied the URL, just go to keepvid.com and right at the homepage, simply paste the URL on the field provided and then click “Download”. On the following page, you’ll see options for downloading the file as video or audio. Choose the format that you want then click the “Download” button next to it. The file will be automatically downloaded to your computer. It’s that simple. KeepVid Helper, on the other hand, is a great option especially if you download videos and music online on a regular basis. It’s an extension that you can install on your browser. Thus, whenever you want to download a video or music from any website, you can just do it in one simple click. To get this working, the first thing you need to do is open your web browser then go to its download page. There, you’ll see a download button (or simply look for the “Try to Install Now” button). Click on it. It will automatically detect which browser you are using so you simply need to click the “Add to browser” button that shows up on the screen. After which, proceed with the next steps of the installation. Like KeepVid Online, you’ll be redirected to the page where you get to choose the format that you want to download. Simply select the one you like, click the download button next to it and wait for the download to finish. That’s it! What KeepVid offers is a really convenient option for downloading online videos and music. Not only does it offer faster downloads, it also preserves the quality of the downloaded content. You don’t have to worry that they may not load or play properly. Moreover, it is not really necessary for you to upgrade to Pro. The free service that they offer is already good enough especially if it’s just for personal use. That being the case, KeepVid Online is a great choice if you don’t mind copying and pasting URLs of the videos that you want to download. Now, if you hate the hassle and want a more convenient option, you can simply install KeepVid Helper. It lets you download videos and music from any site in just a click of a button. Requires: Windows XP, Vista, 7, 8, 8.1, 10 and Mac OS X with Google Chrome, Firefox, Safari, Opera, Yandex, etc.